Just because you’re a little older doesn’t mean you can’t enjoy a good board game! Many elderly people have been playing classic board games their whole lives, and playing them regularly can help improve cognitive function, fine motor skills, and best of all – bring back some great memories. Game play should be a key part of a senior’s recreational activity schedule! However, playing board games as a senior can be challenging. With age comes all kinds of physical and mental limitations like arthritis, limited hand function, or dementia. Luckily, there are plenty of fun, simple board games that are perfect for seniors with these kinds of concerns. The best board games for elderly seniors have big pieces, clear instructions, and can be enjoyed with friends and family. 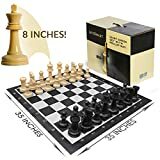 Try to stay away from games with smaller pieces (as they may be difficult for a senior with limited hand motion to pick up) and a lot of rules to remember. Keep it simple and fun! Take a look through some recommended games below and see what you think your loved one would enjoy most. Giving them one of these games can really enhance their quality of life and give them a fun, new hobby to enjoy. Here is a quick list of great games to play with seniors or keep scrolling to read more information about each game. 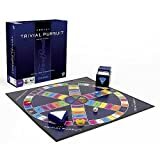 Trivial Pursuits is one of the best board games for seniors because you can customize it to the senior’s unique interests and favorite fun facts. There are plenty of versions of the game that focus on sports, music, Disney movies, and more! If you just want to test your general trivia knowledge, grab the classic version of the game that has about 5 categories, including geography, science, history, literature, and entertainment. This is a great game for seniors because it keeps their minds sharp in a fun, active way! Basically the original board games, chess and checkers are also great games for seniors. These games of skill and strategy stretch the brain and hone problem-solving skills for anyone who plays. They’re also relatively easy to pick up, and are played on the same board (but with different pieces). Chess especially also has a social element, because you can find various chess teams and tournaments anywhere you go, especially in senior communities. If you get good enough at this game, you can join one and compete professionally! 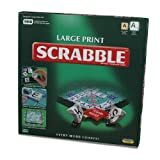 Scrabble is a perfect board game for seniors because it allows them to be creative and think critically. Many seniors already enjoy crossword puzzles, word searches, and similar games. This board game takes that one step further, and allows them to bond with whoever they’re playing against. This is particularly fun for grandparents and their grandchildren because it allows each of them to learn about the vernacular of the different generations, and maybe teach each other about new words they’ve never heard before. 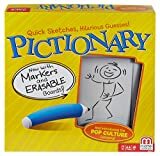 Some elderly people may be hesitant about Pictionary, especially if they’re not particularly confident in their drawing skills, but the great thing about this game is that it’s even more fun and challenging if the picture isn’t as clear as it could be! This board game allows seniors to be silly, creative, and expressive. It also presents a great bonding experience with grandchildren who love to doodle. Make teams and work together on your drawings! 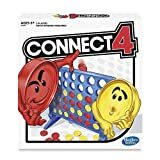 Another fun classic is the upright board game Connect 4. Like a 3D, bigger version of tic tac toe, this is an easy, fun strategy game with nice big pieces and a straightforward design. You’ll have hours of fun going through round after round filling up the whole board with red and black circles. Plus, it’s especially fun at the end of a round to release the pieces and let it all come crashing down! 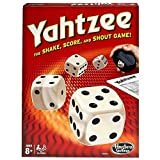 Yahtzee was a much more popular game in the 20th century, and your senior might even remember playing it as a child! It’s just as fun as ever, though, and very simple to pick up. It’s objective is to score as many points as possible with a set of dice. You track your points on a playing card, and if you get a 5 of a kind and score 50 points (the highest point value possible) you yell “Yahtzee!” The winner is the player with the highest points at the end of all the rounds. While not necessarily a board game, a deck of cards can go a long way for a senior looking for some entertainment. 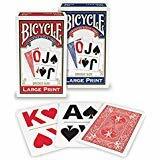 There are nearly endless options to choose from in terms of different types of card games at different levels of skill and ability, and you can play with any number of people too. The senior can enjoy a game of solitaire themselves, or a game like Go Fish or War with a partner. They can also play Poker, Rummy, Blackjack, or Canasta with a group of friends and family. Card games have all sorts of elements that are great for seniors like strategy and memory. A simple deck of cards can open up a whole world of fun for an elderly loved one. Check out this post for a list of card games for seniors to play. Although seniors may have limited mobility or cognitive abilities, that shouldn’t hold them back from having fun with a classic board game. Any of the board games above are simple and straightforward enough for people of any age to enjoy together. These games can create a deep bond and fun lasting memories for any senior, and maybe even bring back cherished memories from their own childhoods. Board games also beneficial for the elderly because they help enhance the senior’s cognitive and motor abilities, and also add a fun social element to their lifestyle. Some games above, like chess and certain card games, have communities around them that the seniors can join and get involved in. This might help them make new friends and feel like they’re part of a new group, which can be difficult as we get older. Have a loved one with dementia that loves to play games? Check out these dementia friendly games. What’s your favorite board game to play? If you’ve found a one that works particularly well for your loved ones who are seniors, please share below! I’d love to hear about your experience.